The ultimate Bermuda experience to inspire you. 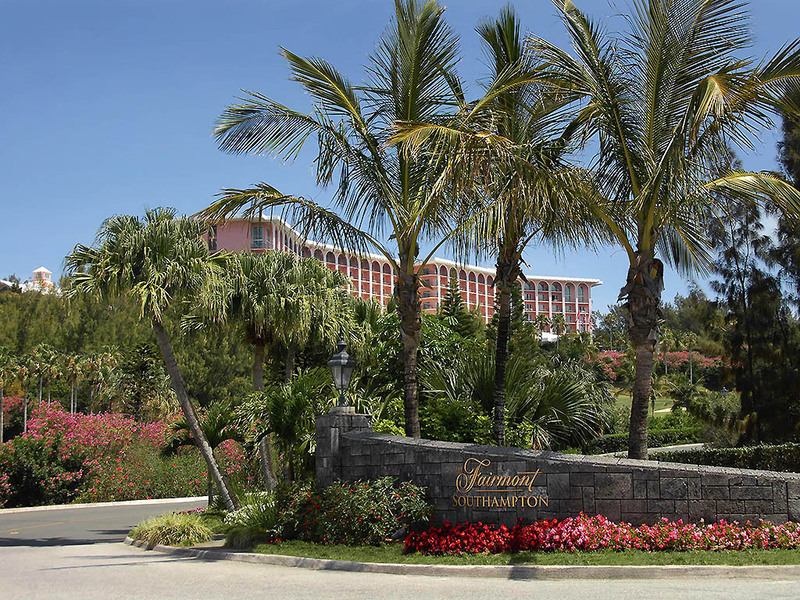 Perched on Bermuda's stunning south shore with miles of pink sand beaches, the luxurious Fairmont Southampton Bermuda sits on nearly 100 acres dotted with lush bougainvillea and towering coconut palms. Conveniently located in the mid-Atlantic less than a two-hour flight from most east coast gateways, this Bermuda hotel is perfect for getaways, meetings and events year-round. Boasting 593 large luxurious airy guestrooms with 450 square feet of gracious living space with a private balcony. Guest rooms feature spacious private marble bathrooms, walk-in closets, air conditioning, 42inch flat screen TV with multimedia panel, spacious work desk. 2 telephones with voicemail, dataport, iron and ironing board, personal digital safe, plush bathrobes, hairdryer, and WiFi Internet access is available for a fee. Defining Bermuda's steakhouse experience for nearly 350 years, dockside on Jew's Bay. Great seafood simply prepared, served surfside. Chic waterside lounge with stunning sunsets, grilled fare and live entertainment. Sun, socializing and dining poolside with a fabulous variety of burgers and shakes. Relaxed snacks and refreshing tropical cocktails served on the beach terrace or chaise-side. Breakfast with a view; traditional Bermuda brunch. Want the best coffee on the island's west side? Whether quick breakfast, lunch or afternoon breaks, Fairmont Southampton has got you covered with the newly launched, delicious Wickets Coffee Bar. Enjoy grab'n go coffee with various tasty snacks. When you are in the mood for a handcrafted cocktail or a quintessential martini, come to Jasmine Cocktail Lounge & Bar. The ideal spot to meet, greet, and relax any time of the day.